Years ago smokers have been asking "is there a way to deliver a great pipe tobacco but at a fraction of the cost”. 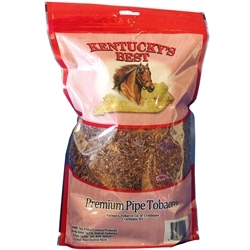 Today, smokers are excited to say Kentucky's Best Pipe Tobacco has hit it out of the park, and smokers everywhere are enjoying an easy, inexpensive way to enjoy a unique smoke experience whenever they feel like it. We at Smokers Discounts agree! !